If you’ve been keeping up with my social media updates, you’ll know that this time last week I started a brand new project and a brand new blog called ‘Summer Camp Secrets‘. After the awesome response I got to my recent post about why working at Summer Camp is the best job in the world, I was feeling pretty inspired, so thought I’d branch out and create a place where I could write all about what it’s really like to work at summer camp in the USA. 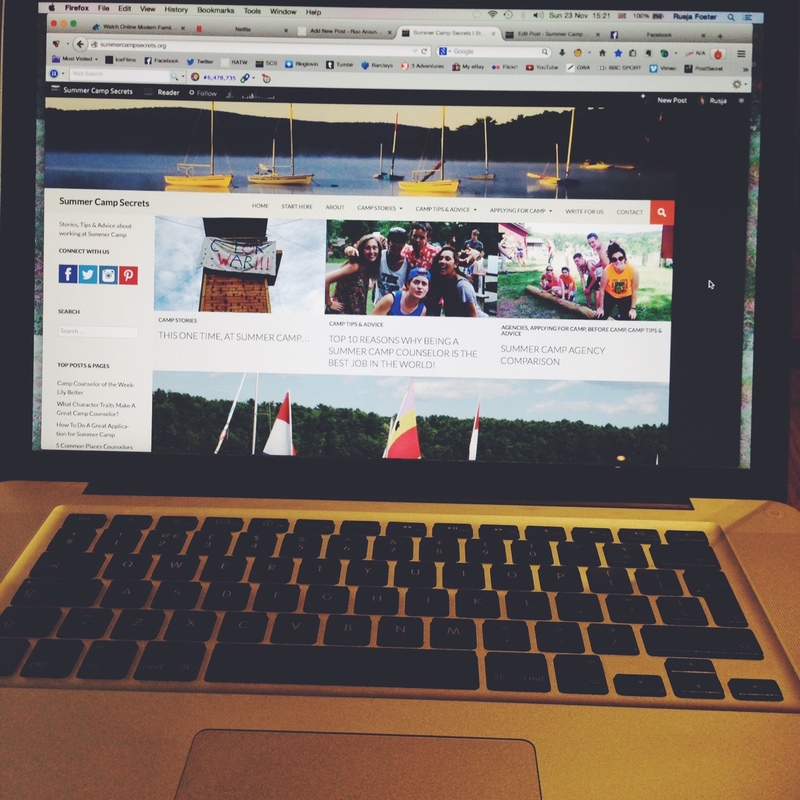 The new blog is full of stories, diary entries, tips and plenty of advice about summer camp and what it takes to be a summer camp counselor – I hope that it will eventually become a great resource for anyone out there thinking about applying for summer camp. I’m thoroughly enjoying the writing I’m doing for it and it gives me another creative outlet while I’m stuck in London working, and not travelling. But don’t worry, I’ll still be posting regularly on here too… I’ve got plenty of fun posts lined up for the coming weeks!